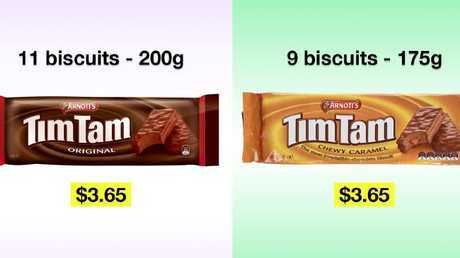 CHOICE’s Tim Tam comparison takes the biscuit. CONSUMER group CHOICE has turned its attention to the weight of your favourite supermarket items as the government initiates a review. The group has "weighed in", so to speak, on an unfolding scenario that could see product weights removed from the front of packaging. That's what the food industry wants but the government says it will canvas views of all consumers before making a decision. For CHOICE, the decision is simple: Do nothing. CHOICE head of media Tom Godfrey says quantity statements being removed from the front of packets will make it harder for shoppers to find and compare value for money on the shelves. Already, CHOICE says, weight fluctuations mean your Tim Tam may not be quite what it appears. 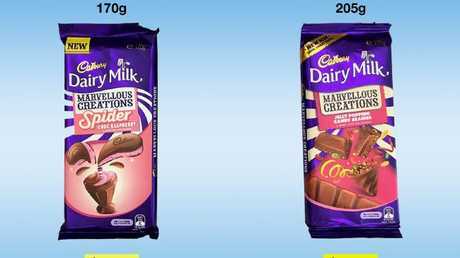 Pointing to existing inconsistent sizing of products from companies like Cadbury's and Arnotts', under which products can look the same, but their weights fluctuate according to flavour, Mr Godfrey says it's already confusing enough for customers to compare products. "Fans of Cadbury's Marvellous Creations range can end up paying the same for a bar that weighs 18 percent less simply by picking Spider Choc Raspberry over Jelly Popping Candy Beanies," he said, citing a 2014 CHOICE comparison. "Biscuit lovers might be shocked to learn that if they buy Arnott's Chewy Caramel Tim Tams instead of the Tim Tams Originals they'll end up with 25 grams less, or nine biscuits instead of 11." "The erratic changes in weight across similar-looking packs can confuse consumers and show why it's vital the pack weight stays on the front of a product. The National Measurement Institute (NMI) is currently considering proposals from food and cosmetic companies who want to remove the existing requirement that quantity measurements must be on the front of the product. 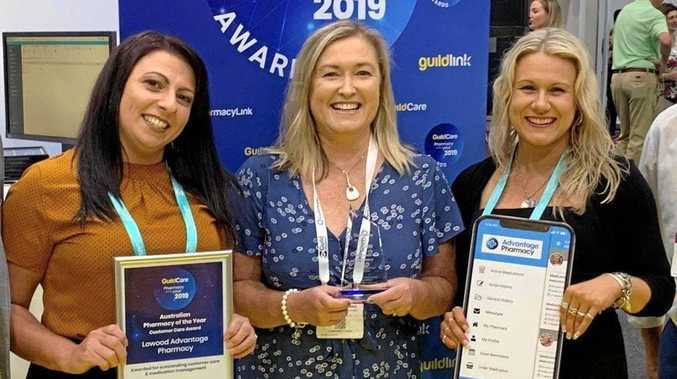 "Our research shows hiding the quantity information on the back of pack is likely to short change 74 percent of people who consider it important," Mr Godfrey says. "Industry argues their proposal will remove red tape. What red tape? They're already down it." He said front of pack quantity statements were vital, because unit pricing laws, which show consumers what products cost per unit of weight to allow instant comparisons in major supermarkets, don't apply to all shops. "Those laws don't affect smaller supermarkets and stores. In regards to things like cosmetics, easily-found weight and quantity measurements on the front of the pack mean consumers are less likely to be fooled by different-sized packaging." The NMI is consulting on the proposal until the end of June. "There's no need for this change, so people until then to write via CHOICE asking the government to use common sense and do nothing," Mr Godfrey says.